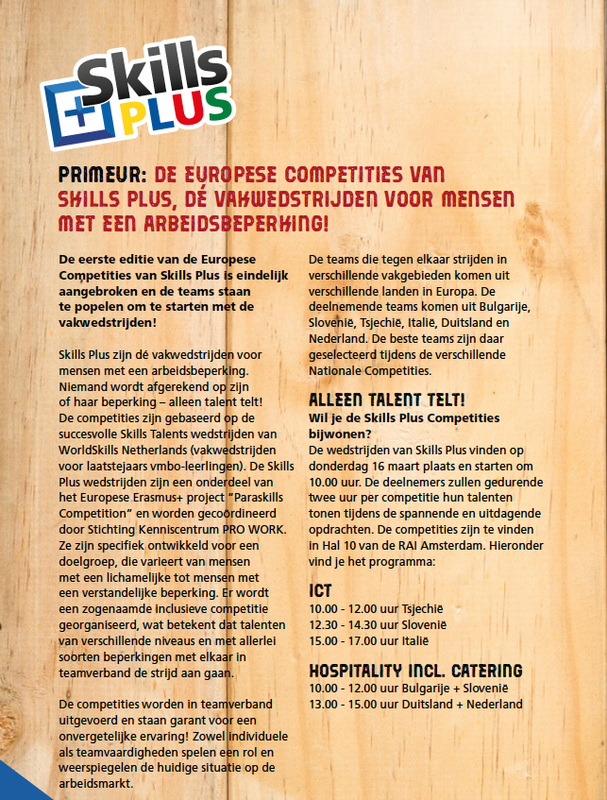 We hereby share with you the Booklet for the first European Skills Plus Competitions that will be held at the RAI, Amsterdam. The four categories that will compete are: ICT, Catering, Green Jobs and Electrician. Each competition will last two hours and the award ceremony will follow shortly after.